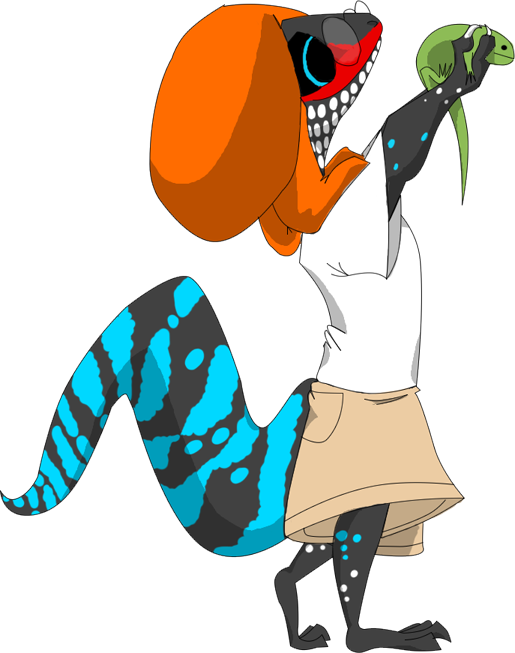 Kid Skink, reptile hunter extraordinaire, just having captured the rarest reptile of them all.. generic green three toed squish lizard! I've been on a bit of a kick drawing Skink as a wee kid, since fire skinks have crazy awesome markings as babies. Bright blue tails! If you've read my last journal, you know my hand is hurt. I tried some low impact stuff now that I've wrapped the finger just to see how it would go, resulting in this. Its only one out of two figures in what I drew (it'll actually be a part of a birthday card) and thats as far as I got before I noticed I was bleeding out the tip of my wrapping. BALLS. But it was cozier than I expected at least.